Home / Pregnancy / What Should I Eat During My First Week of Pregnancy? 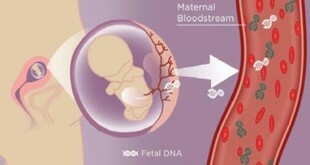 The first week of pregnancy signals accelerated embryonic growth and development, but your embryo is still very tiny. As a result, it is important that you pay close attention to what you are putting in your body. 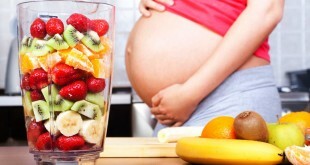 Contrary to popular belief, you do not actually need a lot of extra calories during the early stages of pregnancy. Your main focus, during the first week of pregnancy, is to make sure that you and your embryo are receiving a proper amount of nutrients. A healthy, balanced diet is the best way to ensure that your little embryo gets all of the vitamins and minerals that it needs to grow and develop. If you want to know what you should eat during your first week of pregnancy, you have come to the right place. This article provides you with valuable suggestions on what foods to eat during your first week of pregnancy. A diet that includes low-fat yogurt can be beneficial for both you and your growing embryo. Yogurt contains a healthy amount of calcium, folic acid and protein. Most yogurts are also rich in probiotics, such as acidophilus, healthy bacteria that aid in digestion. Add yogurt to various smoothies, snack on fruit-flavored yogurt mid-day and/or mix fruits, nuts and plain yogurt together to make a yogurt parfait. 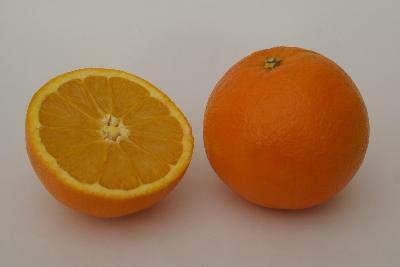 Citrus fruits like oranges, tangerines, lemons and grapefruits can be safely consumed when you are one week pregnant. These fruits contain large amounts of vitamin C, which can protect your immune system, as well as your embryo’s immune systems, from harmful free radicals like viruses, toxins, infections and diseases. According to nutritionist, Sophie Pachella (2009), pregnant women are 5 times more likely to catch the flu, colds and respiratory viruses than non-pregnant women. Increasing your daily intake of citrus fruits will not only improve your immune system function, it may also help later on with morning sickness. You can safely consume fatty fish when you are one week pregnant. You may hear that fish is not allowed during pregnancy, but that is simply not true. Only fish that are high in mercury (sea bass, shark, king mackerel, tilefish, northern pike, lake trout, tuna and swordfish) are prohibited during pregnancy. Sushi is also not the best choice of fish during pregnancy, but you can consume two servings per month, while pregnant. On the contrary, fatty fish that contain low levels of mercury (salmon, sardines, shrimp and tilapia) are safe to consume, in moderation (6 oz., 2 times a week). Fatty fish are rich in omega-3, healthy fats that aid in brain and nervous system development. 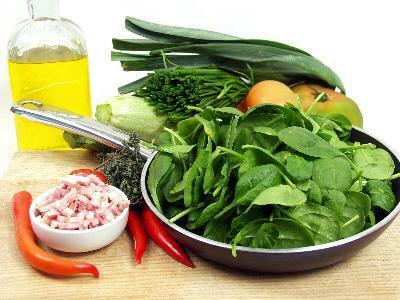 Increase your consumption of green leafy vegetables (spinach, kale, mustard green, Swiss chard, turnip greens and/or collard greens) during your first week of pregnancy because they are safe to eat and good for you and your growing embryo. Spinach may not be your favorite vegetable, but it is loaded with vitamins like folic acid, vitamin C and vitamin K. According to the U.S. Food and Drug Administration (2013), a diet rich in folic acid can prevent birth defects like spina bifida. How Can I Tell If I Am One Week Pregnant? Previous What Exercises Should I Avoid During My First Week of Pregnancy? Next What Symptoms Should I Expect During My First Week of Pregnancy?